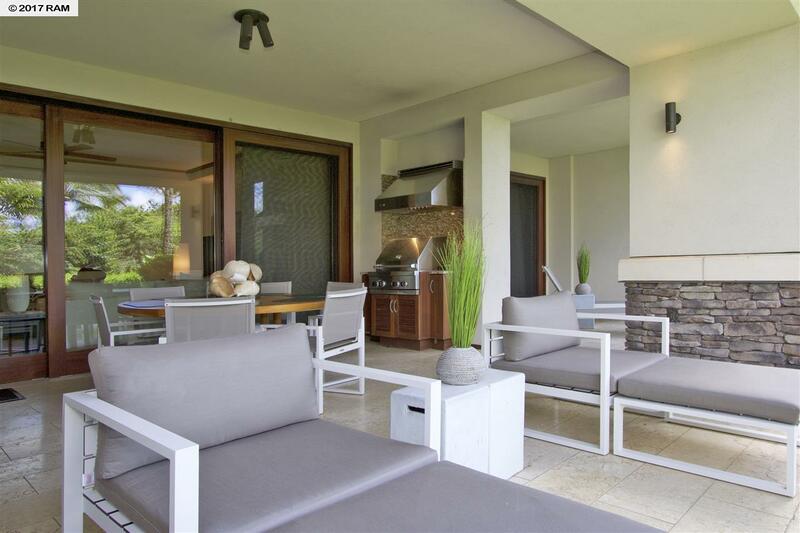 Ground floor Ocean front Residence with lanais and lawn area that are Exclusively Private. The Master Bedroom lanai and lawn area are 12 feet above the adjacent residence with a small hedge perimeter. The Livingroom lanai and larger lawn are secluded by a two foot high hedge, the entire area is elevated offering great privacy. Hence, a hedge low enough to easily see the ocean and coastline but secluded from onlookers. 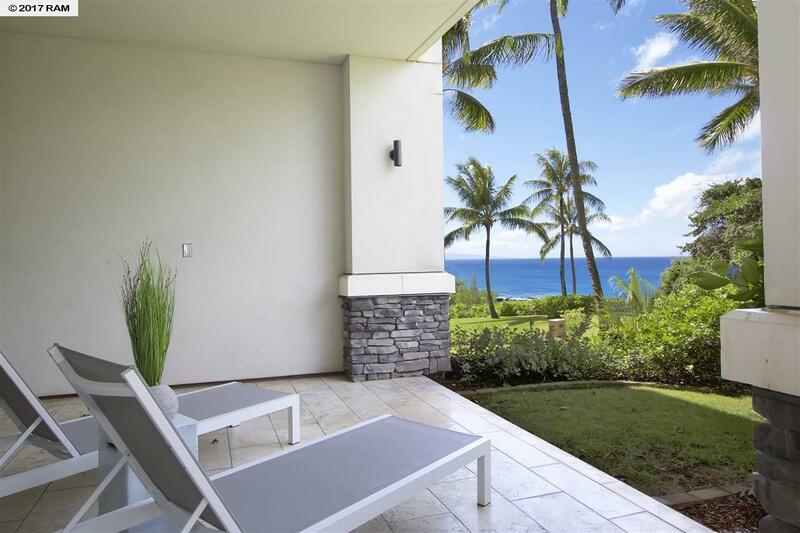 You wont find a comparable ground floor residence at the Montage or anywhere else in Kapalua. This Residence offers 2,904 sq. ft. of interior living with 3 bedrooms, 3 baths and an added den/ 4th bedroom, with gorgeous solid Oak floors, sold fully furnished / turnkey. The covered lanai is 551 sq. ft. with approximately another 800+ sq. ft. of secluded lawn space. One needs to see this residence to appreciate its magnificence. It just received a significant furniture upgrade in January 2016. 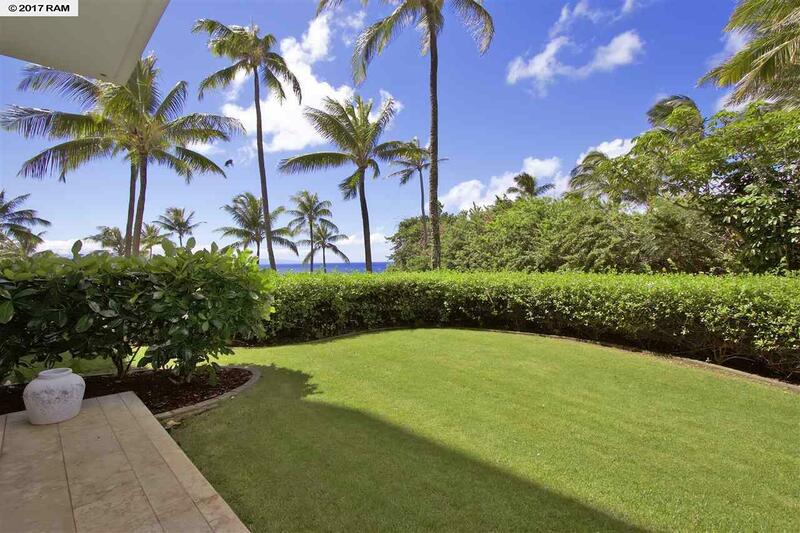 Enjoy the very short walk from your lanai to Kapalua or Napili Beach. 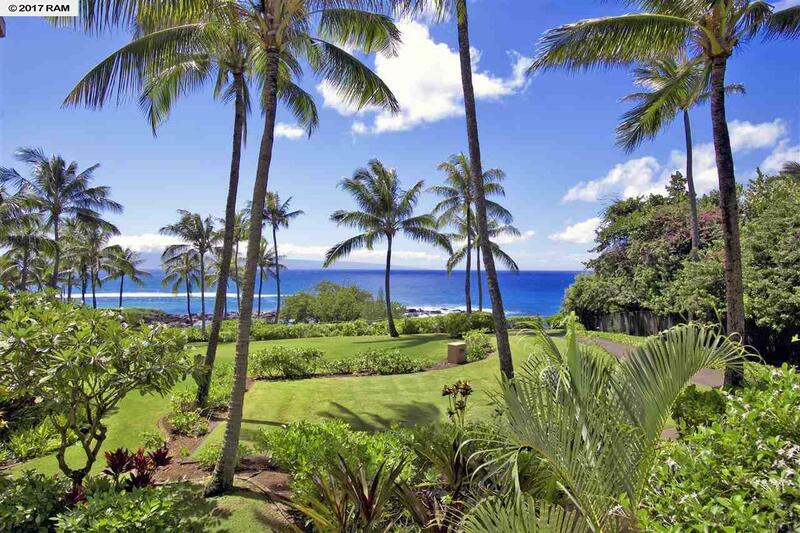 Come enjoy paradise at this 5 Star Forbes property, one of only four in HI, with amenities and services galore.